Abstract: In the last ten years our archaeological group had the opportunity to cooperate with research teams of other disciplines in the framework of the Nasca-Palpa Archaeological Project, on the south coast of Peru. Many scientific methods and engineering techniques have been tested and applied in order to document the cultural manifestations of the cultures that developed in the Palpa valleys in the northern Nasca drainage and to reconstruct the settlement history of the region. In 2002 with support of the German Federal Ministery of Education and Research we established a project group which aimed at the development or adaptation of new scientific methods and technologies for archaeological research. From an archaeological point of view, the major challenge - but also the major outcome of the project - has been the focus of the research efforts on one single region. As a result, a maximum of information could be achieved about the cultural development during the prehispanic periods of the Palpa valleys. In this talk I'll focus on different methods of remote sensing and 3D-modelling used in the research project: Landscape modelling with satellite images of different sensors and aerial photos; site modelling with photogrammetric methods, laserscanning and tachymetric survey; architectural modelling with CAD programs; modelling of big objects with laser scanning and photogrammetry as well as modelling of small objects with laser scanning and structured light. The applications will show the advantages and limitations of the different techniques in the specific application during our archaeological research in Palpa. Abstract: The importance of accurate and visually attractive documentation of Cultural Heritage, be it single buildings, monuments or whole landscapes, has grown more and more over the past years. Compared to other 3D measurement techniques, image-based methods provide the opportunity to produce photo-realistically textured 3D models of such objects. Moreover, image-based methods are quite flexible in terms of accuracy and the level of detail required in different applications and therefore are more and more being used in disciplines dealing with documentation but also analysis of cultural heritage, in particular in archaeology and architecture. Based on different case studies accomplished in our group an overview of applications of photogrammetric reconstruction of cultural heritage objects will be given. Furthermore, current topics of research and future trends in the field of photogrammetry with potential benefit for the Cultural Heritage community as well as the use of 3D models beyond mere documentation will be briefly presented and discussed. Abstract: There is a growing interest for science among people outside of academia. This has positive and negative side effects. While it is good for scientists to relate to the general public in order to account for their work and the money they get for it, there is often a clash between scientific interests and what appeals to laypersons. As a consequence, what eventually gets published in the media is frequently unsatisfactory from a scientist's point of view. On the other hand, it is often the case that the scientists in question fail to provide the relevant information. In his talk, Jürgen Broschart, who works as editor of the science news section of GEO magazine, will illustrate the basic pitfalls in science-media interaction. With respect to the topic of the conference, good and bad examples of data presentation will be discussed, and what can be done to enhance the aesthetic appeal of scientific data. The conference will take place in the Bioquant Building in the Neuenheimer Feld. 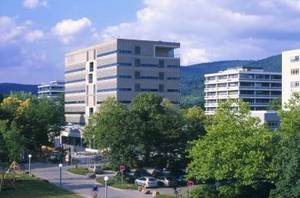 This part of the university is located north of the river Neckar, right in the heart of the modern university campus. The departments of Physics, Chemistry, Biosciences, Mathematics & Computer Science and Medicine are located within walking distance. For planning your visit, please use the local map as a reference. The main aim of this SCCH Event is to create a forum for discussions between the researchers of humanities and natural sciences as well as cultural heritage institutions. Our mission is to establish and strengthen interdisciplinary relations to provide and develop novel computing tools for experts in cultural heritage. The focus will be on applications for Cultural Heritage as well as the theoretical advances driving them.